NEGLECTED CASES CAUSE EXPENSIVE PROBLEMS! 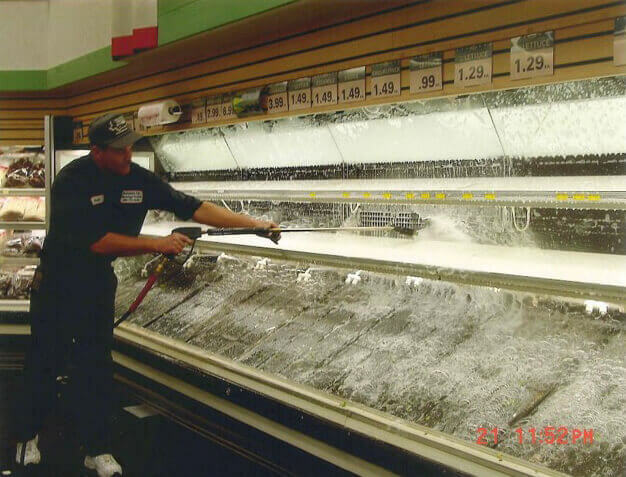 Many grocery store owners and managers seldom consider the costs associated with refrigerated cases that are not cleaned on continual basis. Food waste builds up in cases over time, which causes health and mechanical issues! Food waste buildup can cause uneven cooling of your produce, which results in produce shrinkage! The cooling lines and fins can ice up over time and cause premature wear on your cooling system and compressor! Food build-up in hard to clean area can result in mold and bacteria growth in the cases, leading to food contamination! This is What can be Found Underneath Most Cases! Case is disassembled, and all food waste is removed and disposed of. Case, racks, dividers, shelves, honeycomb air filters and all internal area are washed with hot water and biodegradable cleaning solutions. All accessible air plenum channels and refrigeration coils are de-iced to provide consistent cooling temps within the case. 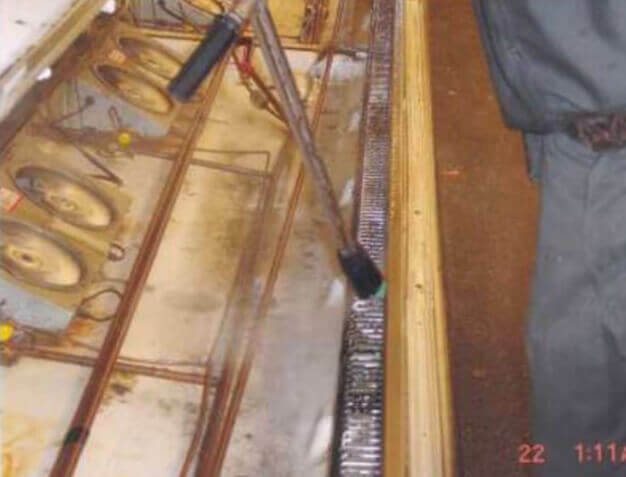 Removal of contaminants and mold to provide a sanitary refrigeration system. Case is reassembled and left in a clean condition! Cooler case regains ability to evenly cool produce, resulting in reduced shrinkage and saved stocking costs! Fans, cooler coils, and other pieces of cooling equipment are freed of debris, resulting in longer life expectancy of equipment and providing more consistent electric costs, saving money in the long-run. 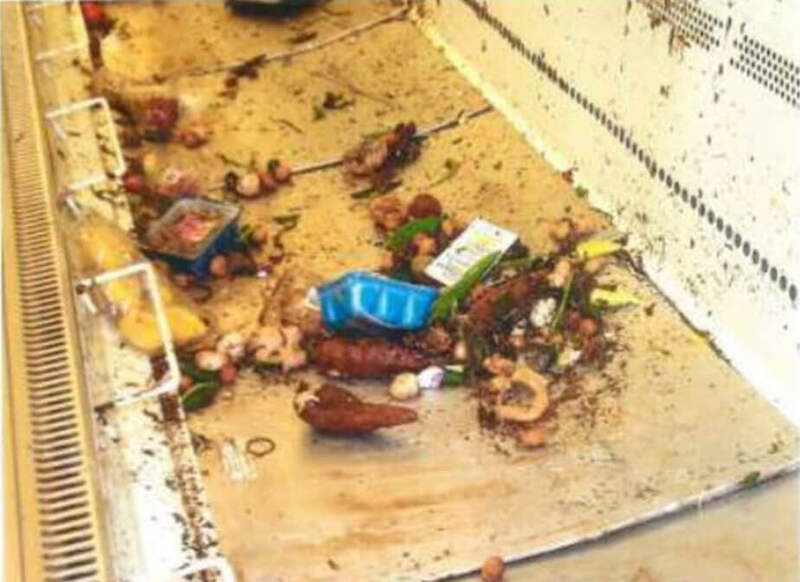 Mold growth in cooler cases is eliminated and avoided, reducing the risk of passing on any contaminated food to customers.